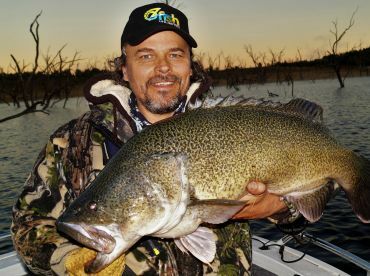 Australian Bass, or simply Perch, as they're often referred to, are brackish spawning freshwater fish of eastern Australia. 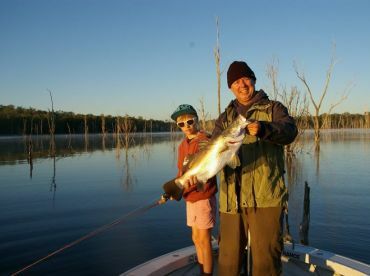 Fish are usually caught around 0.5kg and between 20 and 30cm, with northern fisheries producing larger specimens than southern ones. 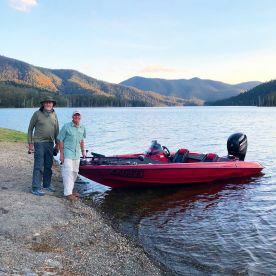 They can be found in coastal rivers, creeks and streams from the Bundaberg region in Queensland south to Wilsons Promontory in Victoria, but excluding the Murray-Darling system. They travel downstream to spawn in estuaries from May until September. They should be fished for during the summer. 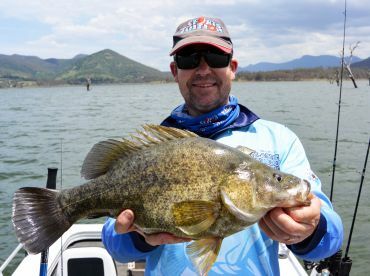 Australian Bass are grateful to target, as they will strike a variety of lures. Soft plastic baits and hard-bodied lures will work, as well as plugs and flies. They will make an unexpectedly powerful run for cover once hooked and need to be turned as quickly as possible. Barbless hooks should be used for safe removal. 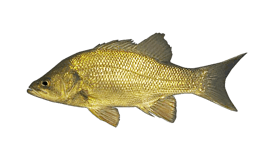 These fish make for excellent table fare, but are under increasing angling pressure, so catch and release is advised in order to preserve the stocks.